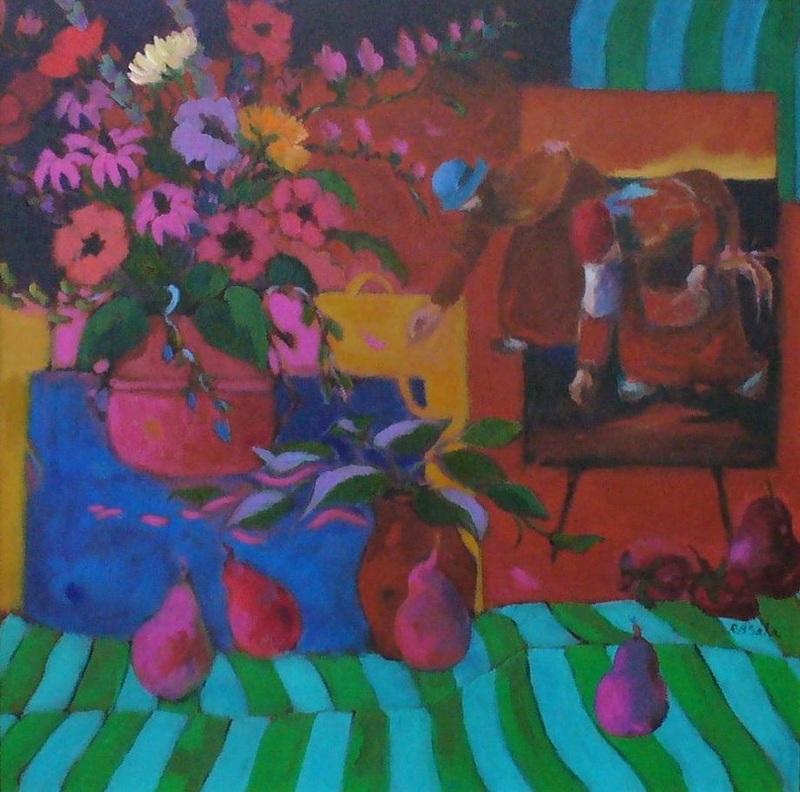 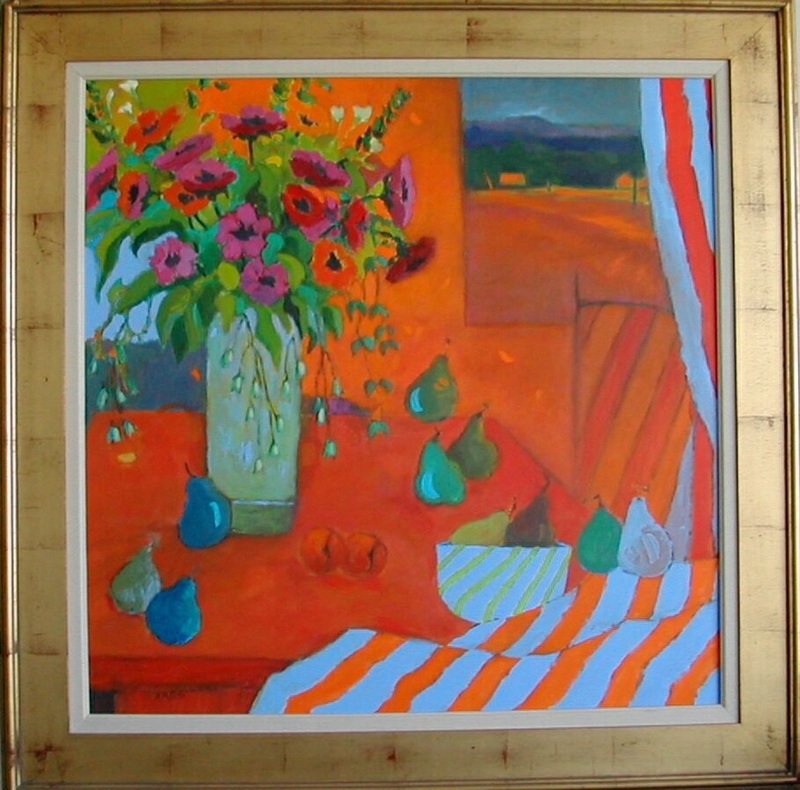 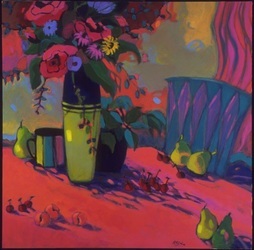 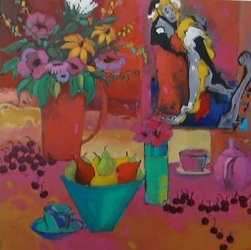 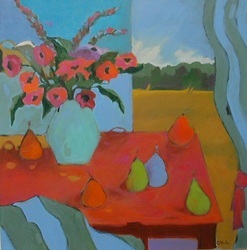 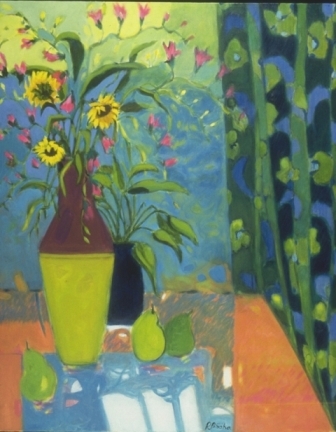 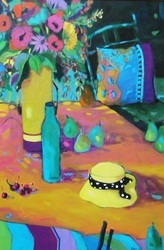 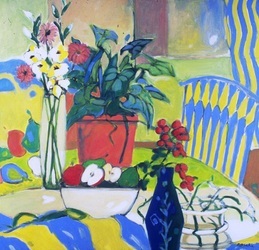 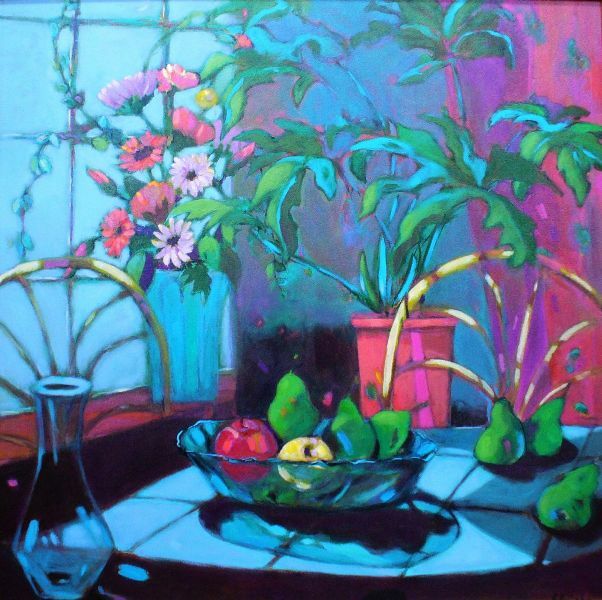 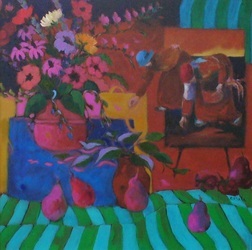 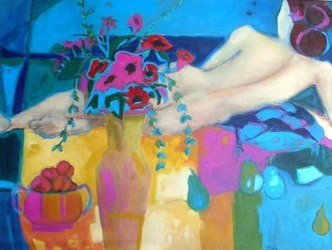 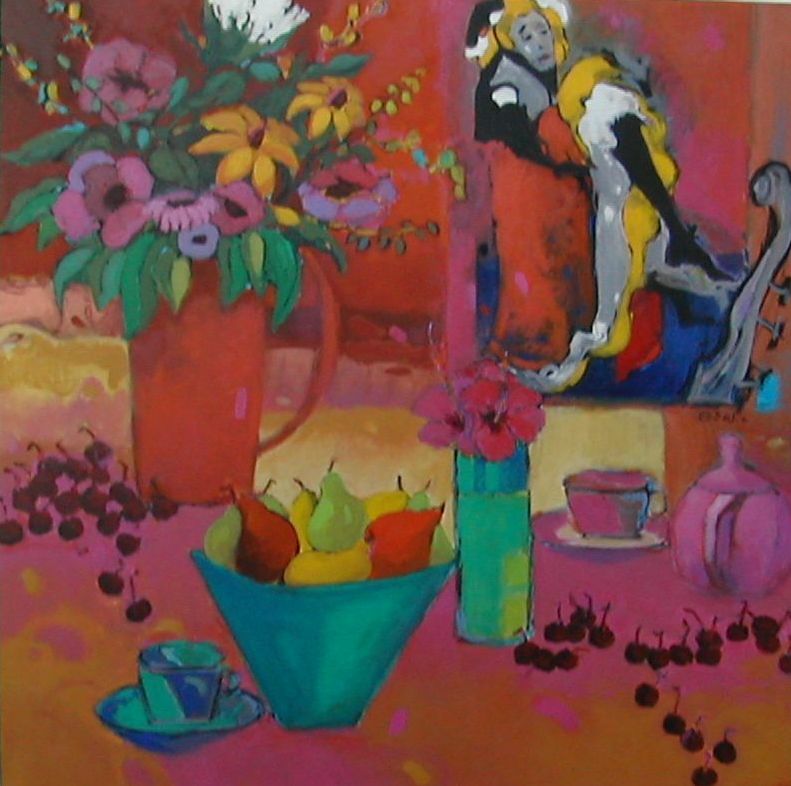 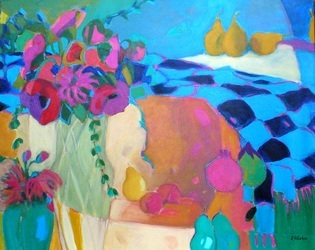 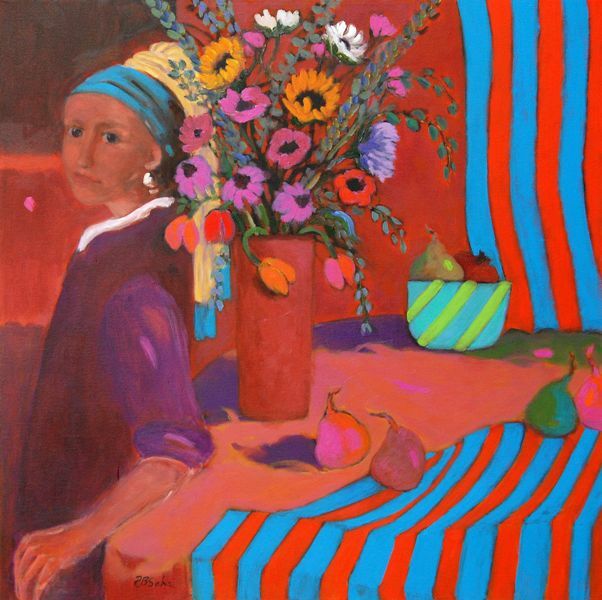 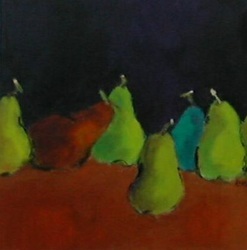 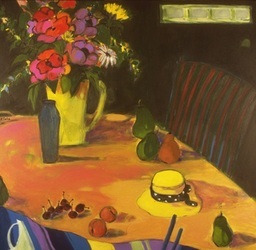 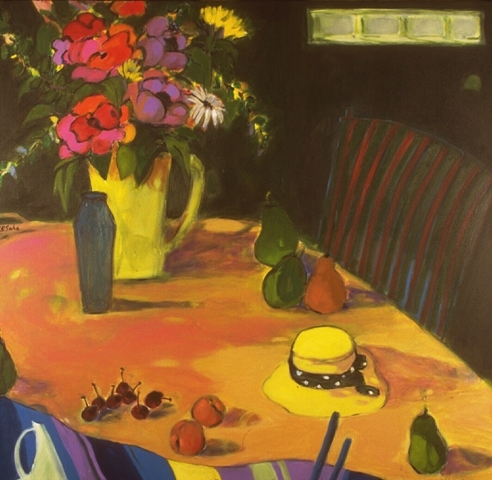 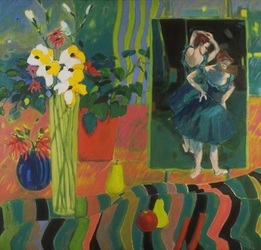 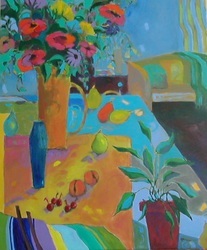 "Saha's still life paintings, particularly "Degas in My Studio", have a Fauvist quality. 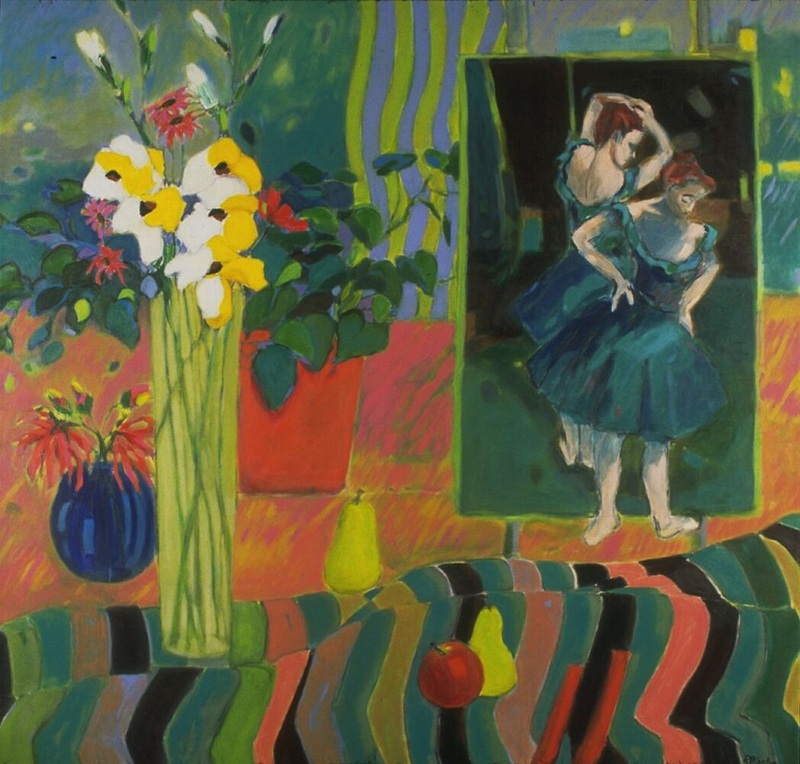 She includes a representation of a Degas painting of ballerinas unconfined to its designated space. 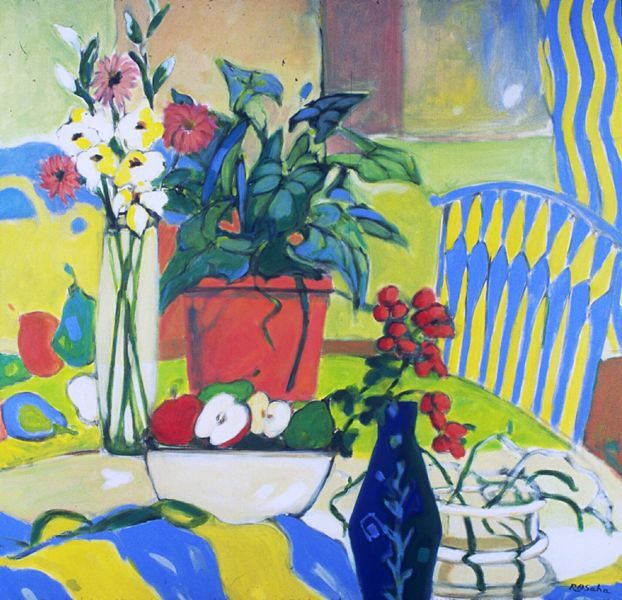 The colors in this and other paintings flow in exuberant patterns, undulating and insinuating, like a soft breeze beneath bright fabric."